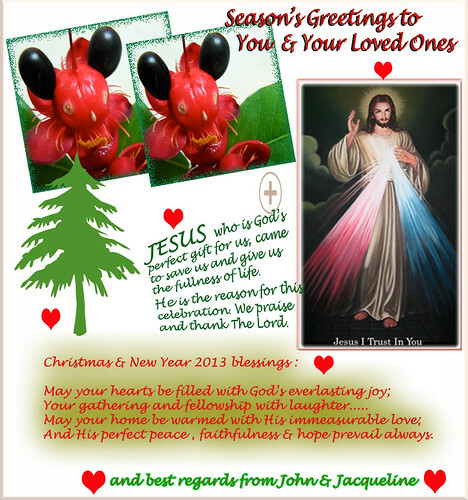 Sending 2012 Christmas Season and 2013 New Year Greetings to one and all, especially our website friends and visitors. Have a joyful and blessed Christmas and a great New Year 2013, that’s filled with peace, joy, love, good health and the best of everything!. Haha… The twin flowers from the Mickey Mouse Plant with eyes, nose and mouth were included in the image above to signify us sending our greetings to you and yours, with love!